This morning I woke at five and lay for a time listening to birdsong — robins, Swainson’s thrushes, at least one varied thrush, a western tanager, and others I couldn’t identify. 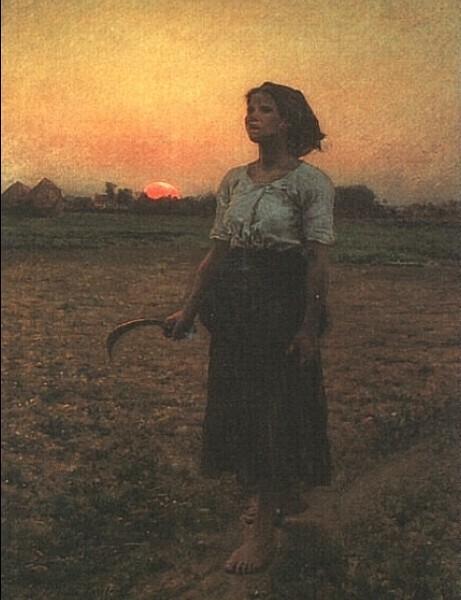 I found myself thinking of Willa Cather’s The Song of the Lark. I bought a copy in New Mexico, in the lovely Tome on the Range in Las Vegas, and brought it home to be savoured over during the course of a week. Cather noticed landscape and how it shaped people. Shaped her, no doubt — no one notices the geography and weather of a place so much as one who has felt the imprint of that place on skin, the soles of feet walking its contours, eyes opened to its sky. I haven’t read all her books but certainly My Antonia and O Pioneers are full of Nebraska and Death Comes For the Archbishop is like a map of New Mexico, the arroyos and piñons lovingly recorded. 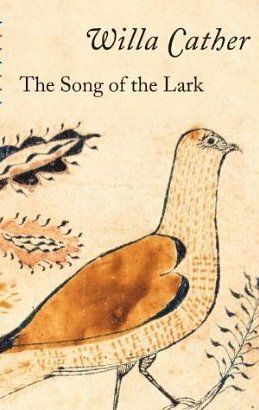 The Song of the Lark is Thea Kronborg’s story. Born in Moonstone, a small Colorado town, she knew from the very beginning that she would do something grand. I can see how it appealed to Cather and the woman is certainly emblematic of prairie strength and beauty. But to my mind, it’s dated, and this novel has a rugged and contemporary heart. My copy has instead a cover image of a bird, clutching a strand of grass (maybe barley? ), and looks almost pictographic in its simplicity. Like an image on a pot sherd, tawny and ochre, expressed as beautifully as some of the writing in this novel. ~ by theresakishkan on May 31, 2014. Thanks Theresa… A lovely befittingly lyrical post. WC was great writer. Regards from Thom at the immortal jukebox. I’ll be returning. Yes, she was a wonderful writer, wasn’t she? I first read Death Comes… about five years ago and wanted to go to New Mexico as soon as possible — that red rock, the high desert, the sense of space! This entry was posted on May 31, 2014 at 10:10 pm and is filed under Uncategorized.You can follow any responses to this entry through the RSS 2.0 feed.You can leave a response, or trackback from your own site.